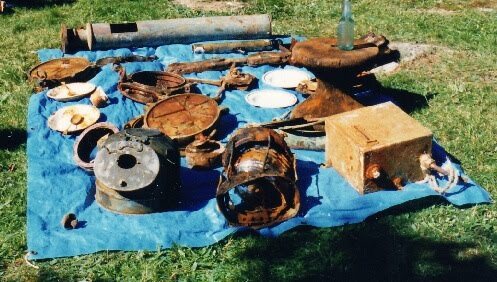 Below is a short list of popular Wreck diving topics that I have presented to museums, dive clubs and shops in the Md., De., Pa. NY., and NJ area. These topics are geared to new through experienced level divers and have been enthusiastically received by these groups. 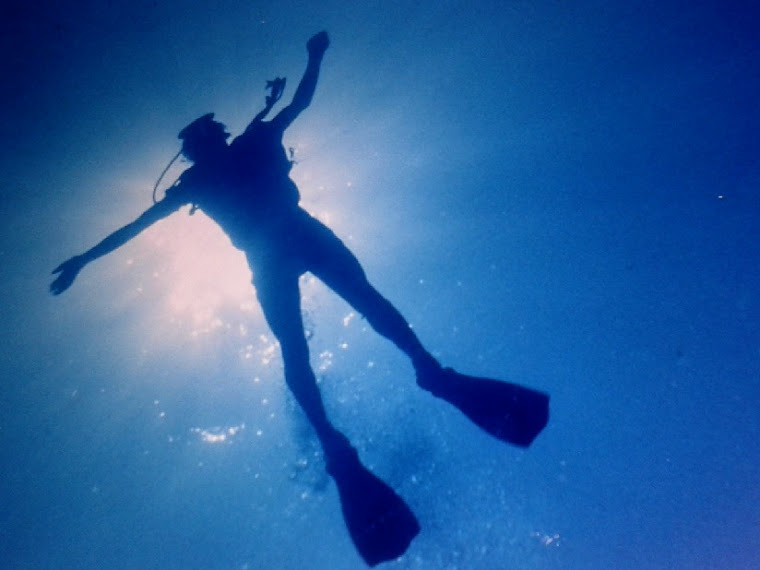 These stimulating lectures reflect decades of experiences wreck diving and generate interest and demand for local diving. Small informal or large group lectures can be arranged. Contact me directly for more information and to arrange dates. 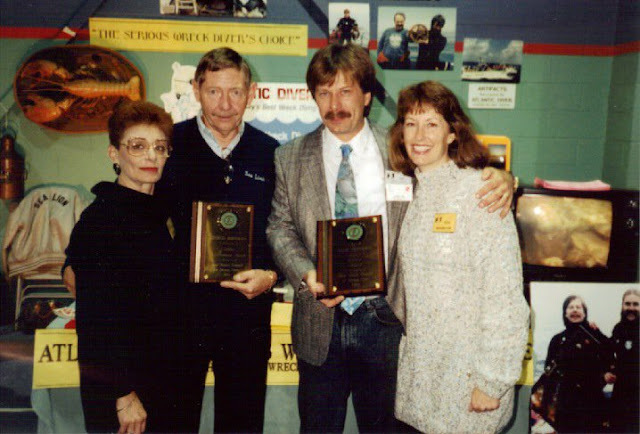 A fascinating review of some of Gene's four decades of wreck diving adventures. This will be a slide presentation of shipwrecks discovered and identified from North Carolina to Nova Scotia. 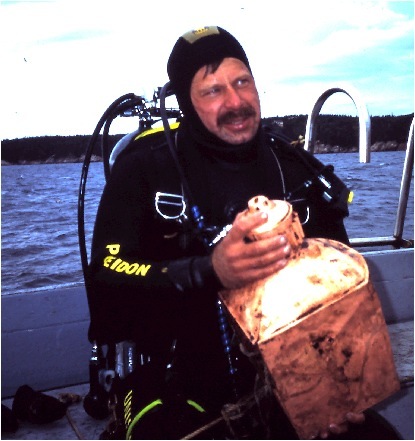 Gene Peterson has been exploring and discovering Nova Scotia Shipwrecks since 1980. 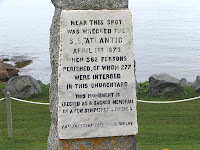 His expeditions include discoveries of dozens of unknown wrecks such as the British Freedom, the Anna, the Sonja Maresk, the Zoe and numerous others. and Deadeyes I have known. 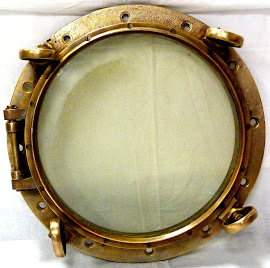 Having recovered thousands of shipwreck artifacts, including bells, helms, binnacles, telegraphs, china, deadeyes and portholes, Gene Peterson will take you on an adventure discussing recoveries and in depth techniques to help you recognized and recover and preserve artifacts. 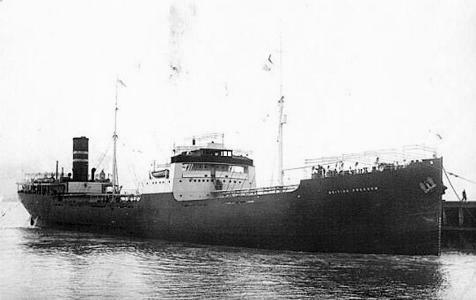 Since 1981, Gene Peterson has led and experienced over 8 expeditions to the Andrea Doria including the first wreck penetration and on to the 50th Anniversary dive of her sinking. Enjoy first hand tales of these exciting trips including the historic Gambone art work recoveries as documented in Gary Gentile's book DEEP DARK and DANGEROUS. 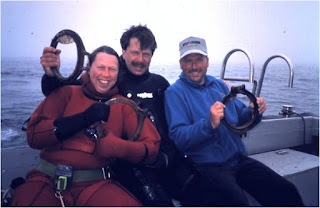 Giving Back to Wreck Diving. The past four decades of wreck searching has given me the opportunity to solve many mysteries. I have had the good fortune to have been able to reunite families with their forefathers history and help them pay tribute to these great heroes that lost their lives at sea insuring our freedom. Hard work and the inspiration of history thrust me into fateful discoveries which have enabled me to provide closure for many sailors and their families affected by these great tragedies. 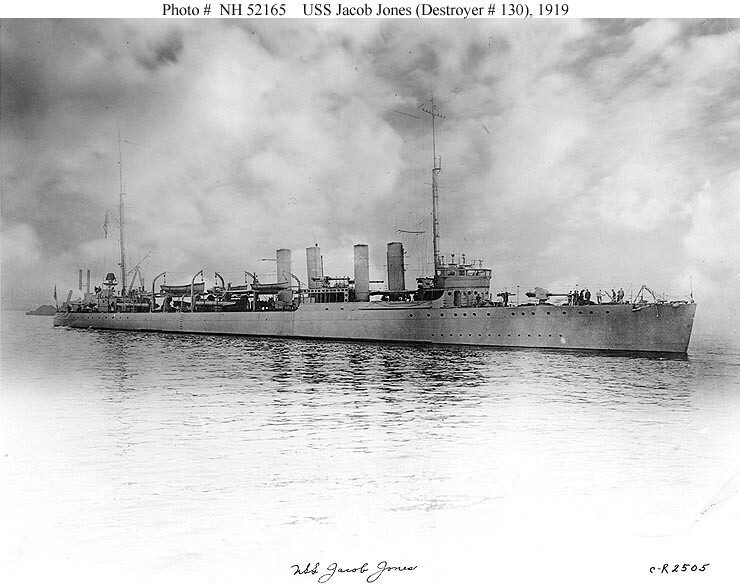 Their perilous stories need to be heard so that we as Americans can appreciate their dedication and sacrifices. 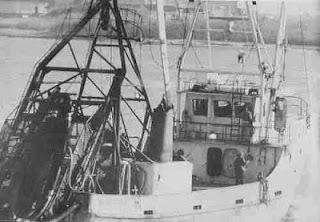 Hear the tales of the sailors and fishermen who survived unthinkable hardships and of those whom perished, yet were never forgotten by their loved ones. Their stories are revealed by the sea itself. Gene Peterson is a member of the prestigious National Association of Underwater Instructors, (certification number 4951) and has been teaching diving since 1976. An avid wreck diver, Gene has logged over 4800 wreck dives off the North Atlantic from Florida to Cape Breton, Nova Scotia. 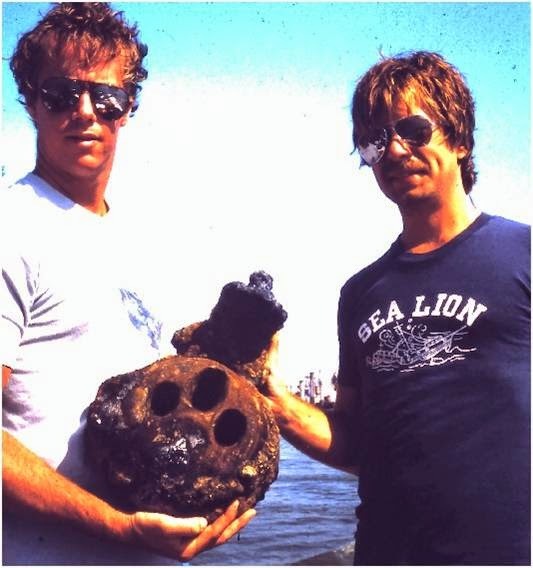 These exciting adventures have included discoveries of more than 30 un-dived wrecks, seven Andrea Doria expeditions and acting as diving safety officer for the Gary Gentile's 1990 Monitor Photographic Expedition. 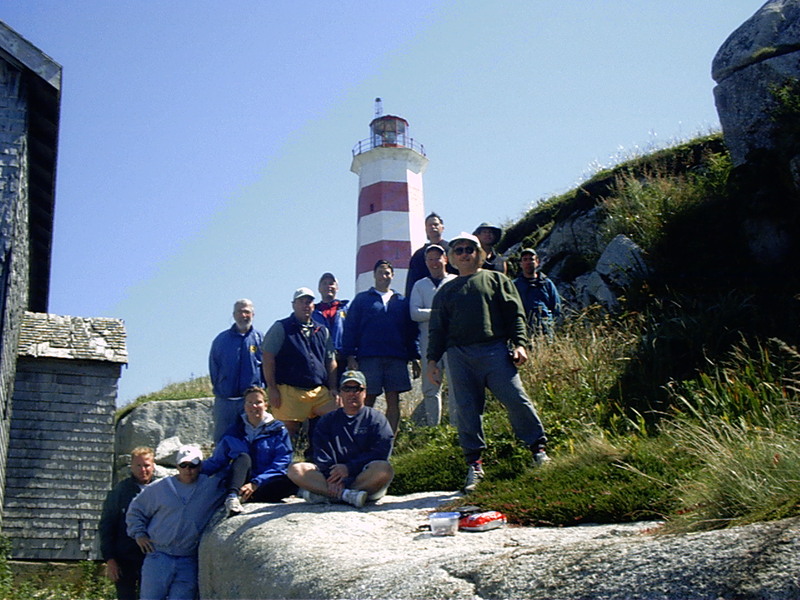 He has led over 30 expeditions to Nova Scotia and numerous wreck discovery adventures off the Delmarva coast. 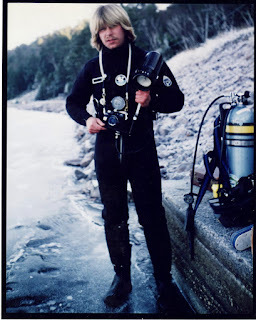 Over two dozen adventure books and numerous magazine articles have documented Gene's expeditions and discoveries. These include writings by such authors as Gary Gentile, Joe Haberstroh, Tom Gormley, Michael C. Barnette, Kevin F. McMurray, Dan Berg, and Clive Cussler. 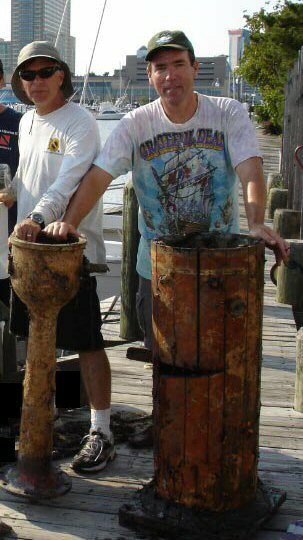 With a in depth understanding of wreck history, Gene has recovered and preserved thousands of artifacts, including four helms, two bells, two telegraphs, four compass binnacle, over one hundred portholes, plus diverse assorted artifacts including china and bottles. 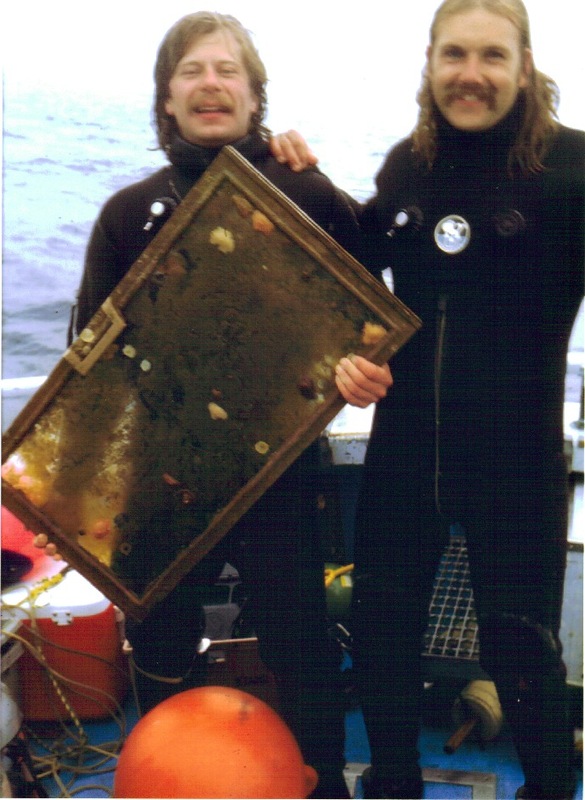 Gene was lead team diver in the Andrea Doria, Gambone artwork recovery on the Moyer Expedition in 1993. 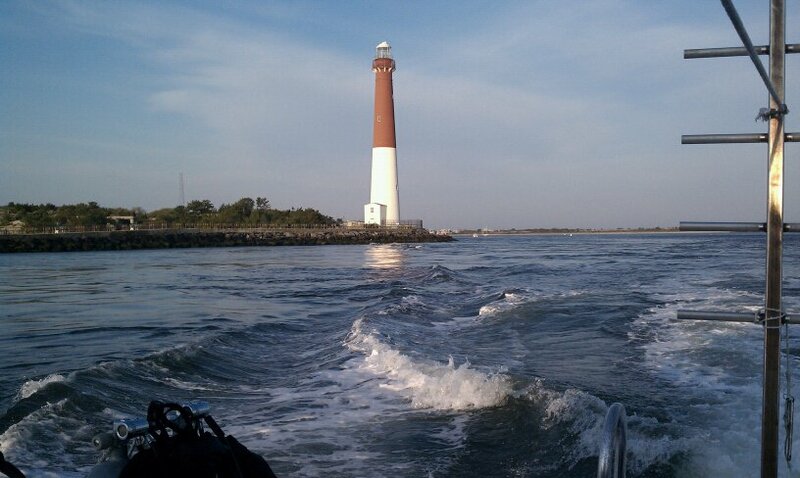 Gene Peterson has an active 100 ton Ocean Operator's license and a teaching degree from Rowan University. 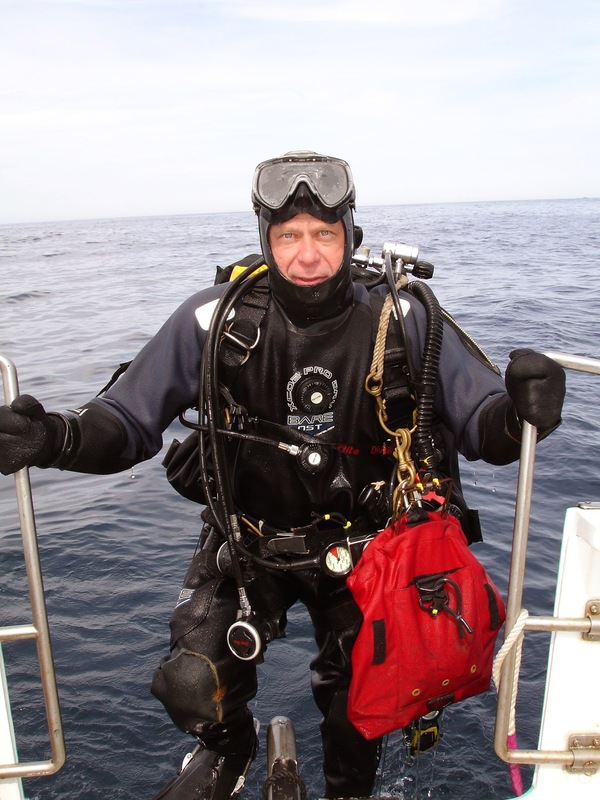 Gene has received honors from the New Jersey Council of Dive Clubs and from the National Association of Underwater instructors for his 35 years of dedication to safe wreck diver training. 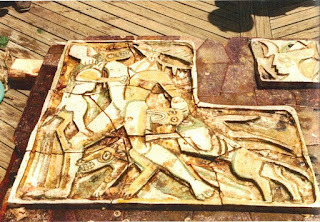 Artifact History Displays are available for short term museum or gallery displays.